Nicotine withdrawal is a difficult process. Abrupt discontinuation of nicotine intake could bring about restlessness, intense nicotine cravings, anxiety, depression cravings, hunger and difficulty concentrating. Our Anti-Smoking Patch are very effective in the process of smoking cessation. It is made from natural ingredients like natural tobacco extract, Licorice, Clove, Menthol and Citric Acid. It works by gradually releasing nicotine into the body through the skin, thereby reducing the cravings to smoke. Through continuous usage, the psychological and physical urge to smoke will gradually decrease until it finally totally ceased. Extracted substance from natural tobacco, liquorice, clove, mint and hops. Control the amount of smoke every day. Can be applied on arm, thigh, trunk, hip, scapula and etc. Whether You are 34 or 84, Your body can cleanse itself and repair the damage done by years of smoking. Peel off the smooth protective of the paper. 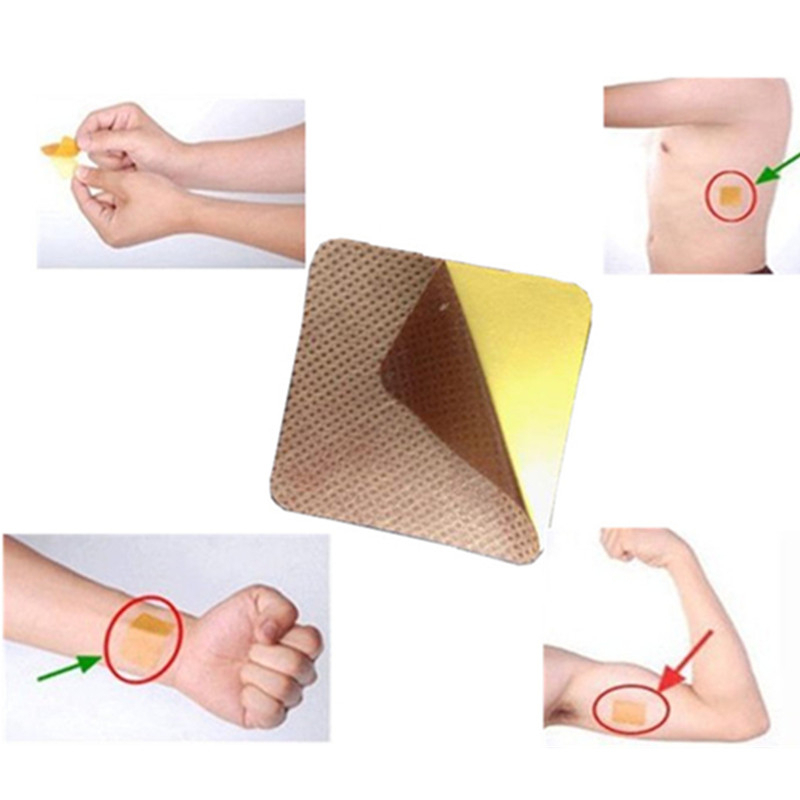 Stick patch onto the cleaned parts of the body surface such as the upper arm, thigh and the lower part. Attach one after getting up, take if off and change a new one in the next morning. If encounter poor sleep, take it off before sleep. Forbidden to use during pregnancy and breast-feeding. Consult doctor if irritation happens.